Automating the data center enables customers to dynamically provision computing resources in the most efficient manner while also meeting business needs by maintaining service level agreements (SLAs). 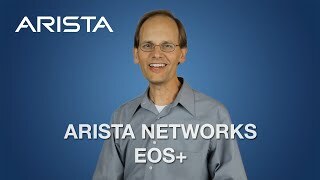 Arista EOS automates complex IT workflows and simplifies network operations while reducing or even eliminating downtime. Arista EOS rich automation capabilities not only reduce the human error element in network operations but also enable IT operators to make the network work the way they want. 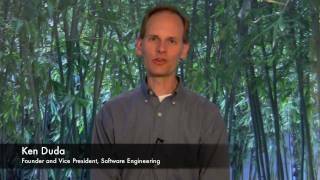 Arista offers solutions for a variety of approaches to cloud-like network automation. Addressing the needs of the largest public cloud environments as well as applying those lessons learned in the turnkey CloudVision automation offering. Turn-key automation for zero touch provisioning, configuration management and network-wide upgrades and rollback. Zero Touch Provisioning (ZTP) uses standards-based mechanisms to provide dynamic provisioning and rapid replacement of network elements. Designed with the network operator in mind, Advanced Event Management (AEM) captures critical information about the state of the network at any point in time. Purpose-built to enhance system up-time through programmatic reaction to network changes and to minimize system outages by simplifying complex troubleshooting tasks. Move toward a continuous deployment model by minimizing the impact of network changes utilizing the power of Arista EOS. With extensibility at every level no other operating system provides so many tools and methods to extend the power of the network. Arista EOS and eAPI provide automation with partners both for enhancing native capabilities with tools like Puppet, Chef and Ansible and extending workflow up the stack to include such devices as firewalls, load balancers and compute infrastructures. Advanced Event Management (AEM), a sub-system of Arista EOS, the world's most advanced network operating system, is a powerful and flexible tool to automate tasks and customize the behavior of EOS and the operation of the overall data center switching infrastructure. Event-driven controls bring simplicity to network operations: Exporting massive amounts of data from the switch to a server just to find some small subset of information is inefficient and unnecessarily complex. Why not let the individual network elements do the work of parsing and alerting based on configurable events. By reducing the 'noise' operations staff increase their visibility to critical events. According to Gartner Group 80% of mission-critical systems outages through 2015 will be caused by people and process issues: AEM is purpose-built to enhance system up-time and enable distributed systems automation to simplify complex tasks, react programmatically to network changes, and to simplify complex troubleshooting tasks—thus minimizing systems outages. Using standards based protocols (e.g. DHCP, T/FTP, HTTP) the network can be rapidly provisioned. Advanced scripting capabilities allow the administrator to tailor boot configurations based on a variety of parameters, meeting the needs of even the most complex data center deployments. Combined with other Arista features, like VMTracer's adaptive VLAN configuration, data center managers can fully automate the bring-up of network elements and virtual servers. Leverage Arista's unique 'hands-off' provisioning to enable the Cloud Data Center. Fully automated deployment of a Virtualized Data Center: Arista switches deployed with ZTP, are downloaded with VMTracer configuration parameters. As VMware vSphere servers boot and instantiate virtual machines, VMTracer automatically configures the VLANS for the VMs. No manual configurations are necessary and the data center has autobooted and is ready for use. Using templates with Puppet/Cobbler to configure switches in an HPC cluster: Extending the model of cluster server provisioning, the HPC manager uses templates to quickly deploy additional racks of servers in the HPC cluster. Along with the server templates, the manager adds a template for the Top of Rack (ToR) switches as well. Now as racks of servers are added to the cluster, both network and server platforms are configured and integrated into the existing cluster. Using scripting to install Linux extensions to EOS: A service provider writes a shell script that is downloaded to a switch with ZTP at boot time. The shell script downloads an OpenVPN RPM, installs and configures it. Its last function is to send a message to the NOC with its logs and configuration information. After the switch reboots, managers can securely access the switch from the remote NOC for provisioning.